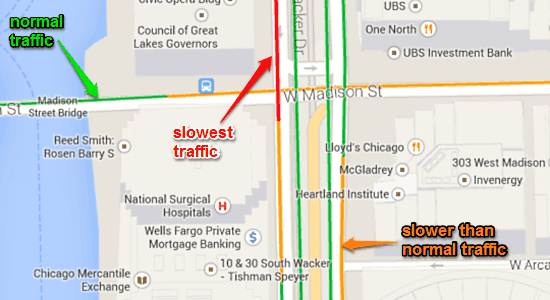 How Does Google Maps Get Real-Time Traffic Information? 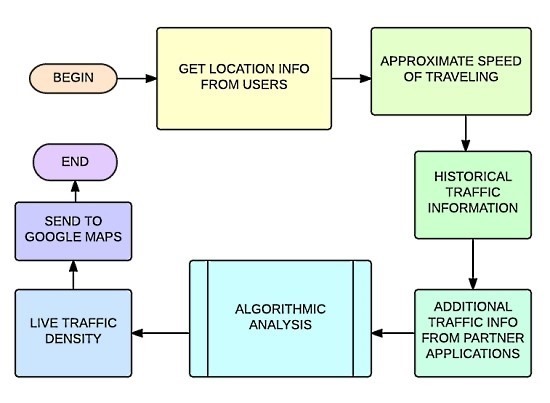 This article explains how Google Maps get real-time traffic information. Google Maps is one of the most popular services provided by Google, and is used by billions of users across the globe on a daily basis to find their way around unknown places. No matter how remote the destination you’re going to is, you can be almost certain of finding it, thanks to Google Maps. Going to visit a new state, or even a new country, and don’t know how you’ll navigate those unfamiliar roads once you get there? Nothing to worry, as all you need is a device equipped with Google Maps. This thing has revolutionized the way we travel and find out our way around places that we’ve never been to. Google Maps truly demonstrates how modern technology can ease up even the most taxing of the daily tasks. But I believe there’s one thing that’s even more incredibly awesome than Google Maps. 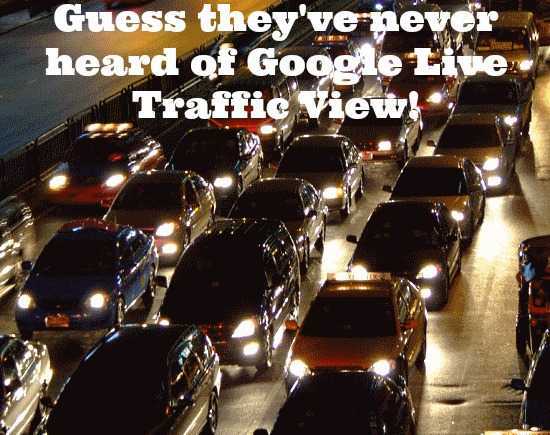 And that’s one of its sub-components, Google Live Traffic View. Almost scarily accurate, Google Live Traffic View gives you real-time updates about traffic conditions on the route you’re travelling (and every other route as well), alerting you of things like traffic congestion. Not only that, it can also tell you the approximate time it’ll take you to reach your destination under the current traffic conditions. Heck, Live Traffic View also enables Google to suggest you alternate routes that you can take to get where you’re going faster, if the one you’re already on isn’t a viable option. And it’s almost always right! This is just plain dope. But have you ever wondered, how does Google Maps get real-time traffic information about almost every single road in the world? Sure it doesn’t have choppers that monitor and rally back traffic information. So how does Google know about the traffic conditions as they happen? The answer might surprise you. Although the Google Maps that we know and love today is insanely powerful, and features everything from terrain mapping to real-time traffic condition updates (the focus subject for this article) it wasn’t always the case. In the days of its beginning, Google Maps didn’t have much traffic reporting capabilities. The early versions of Google Maps were primarily focused towards getting users from one point to another. Even when the traffic reporting capability was developed, the early iterations of Google Maps just provided users about the time it would take them to travel a particular stretch of road under heavy traffic conditions. And this traffic information was sourced from historical traffic data records. Consequently, it wasn’t that accurate. But that’s no longer the case. Google Maps today offer real-time traffic updates, tell you the approximate time it would take to reach your destination under traffic conditions, suggest alternative routes, and much more. The live traffic conditions are shown on Google Maps as color coded lines (Green: normal traffic, Yellow to Orange: slower than normal with some congestion, and Red: too slow, with maximum congestion). So how do the folks at Mountain View do it? So how does Google Maps get real-time traffic information? Step 1: When users having GPS enabled smartphones (which includes pretty much every smartphone these days) allow their devices to share their location through Google Maps, this information is relayed back to Google’s mapping servers. Based on the rate of change of location of a user’s device (and hence the user), Google can approximate the speed that you’re traveling at. Step 2: Google also uses this information to find out how long does it take for a user to travel a particular stretch of road, at a given time of a day of a particular year, under the current weather conditions, at the speed approximated earlier. This information is then combined with historical traffic information on the same stretch of road to make an even better blueprint of real-time traffic update. This is done because it’s extremely difficult to find out real-time traffic information. It could be possible that a road doesn’t have many users with their devices’ location services turned on, and even if there are users’ devices relaying back location info, they could be just looking for a parking spot. Step 3: Once the information compiled above has been used to formulate a blueprint, Google’s algorithms combine this data with the locations of other users travelling on the same stretch of road. All of this information, which is constantly fed to Google’s servers and analyzed by their secretive algorithms, enables Google Maps to provide you with fairly accurate real-time reports of the traffic conditions on not just the road you’re traveling on, but pretty much any road out there. Isn’t that insanely cool? Although Google’s own location reporting services and data analysis algorithms are pretty powerful on their own, they are helped by others too (besides the users whose location they use). They have multiple partners, such as INRIX, which provides historical as well as real-time traffic analysis reports, traffic forecasts etc., and Waze (available as an app and now owned by Google), that provides turn by turn GPS navigation and even allows users to report obstacles like debris, accidents etc. on roads. So you see, there’s some seriously heavy stuff that powers those maps that you see on your GPS devices and smartphones, and the color code traffic density indicator lines appearing on them. Gotta love technology, right?